Removing eye-makeup after a long day of wear is essential, but rarely effortless. Instant eye-makeup remover, formulated with calming, organic plant extracts, provides rapid and effective removal of heavy and even waterproof eye make-up. 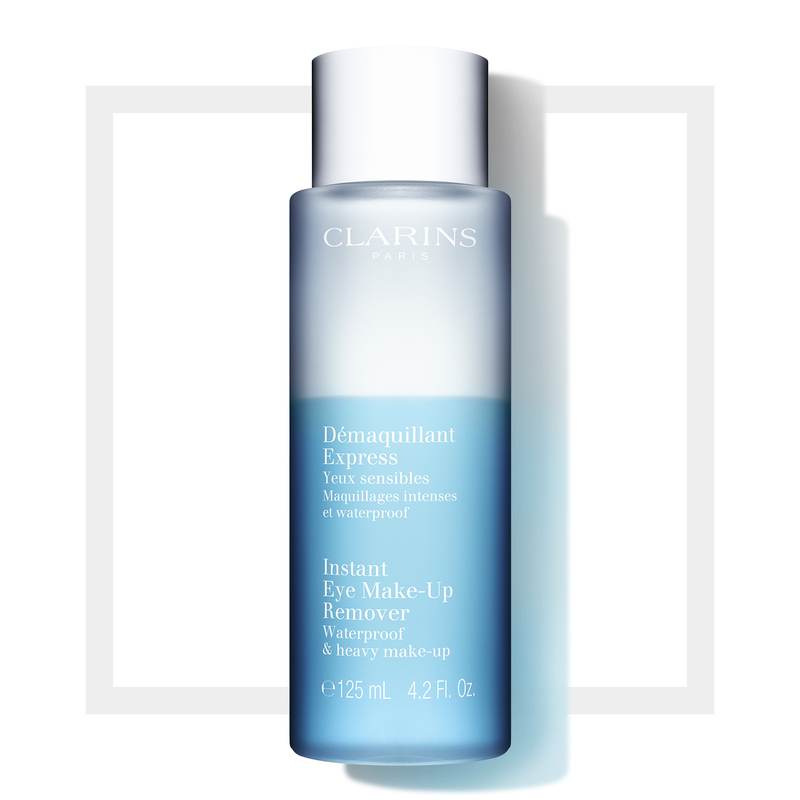 From Clarins' eye-liner and eye-shadow to a range of mascaras, instant eye make-up remover cleanses away all residue. Its unique formula is lightweight and easy to apply, and its opthamologist-tested, soothing complex is sure to be gentle on and around the delicate eye area. Instant Eye Make-up Remover is the perfect cleanser and is sure to leave your bare skin feeling soothed and looking fresh, ready for another beauty routine. Now you don't have to be shy when applying your gorgeous eye products. Rated 5 out of 5 by Lies777 from Easy and soft I was a little worried that this remover would be a bit too harsh as it is for removing heavy and waterproof eye makeup, which neither I use. But it soft on the eyes and removes mascara very easily, no rubbing required. And big plus, my eyes feel fresh after using it. Rated 5 out of 5 by SaRu from Best eye make-up remover for all kind of eye make-up. Never let me down and always does it smootly! Rated 5 out of 5 by Newman from Make-Up Remover Best make-up remover ever - especially water resistant and waterproof mascara. No need to rub. Just soak a cotton pad and hold it to your lashes for about 10 seconds. Then gently wipe. Leaves lashes free of mascara while at the same time hydrating the delicate eye area.